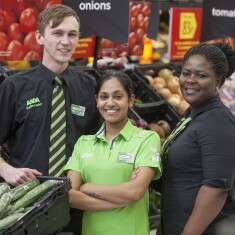 Asda is committed to being keenly engaged in serving the needs of their local communities. Recognizing the immeasurable value of the customer’s voice has allowed them to launch programs such as the Asda Price Guarantee, support charitable efforts like Tickled Pink, Tommy’s and Orchid all while maintaining a focus on reducing their environmental impact and sourcing locally. Asda can trace its roots back to two Yorkshire brothers, Peter and Fred Asquith, and a group of Yorkshire farmers who formed Hindell's Dairies in the 1920s. In 1965, Asquith and Hindell’s Dairies joined forces to become Asda. In 1999, Asda was acquired by Walmart, and in recent years, has grown to become Britain's second largest supermarket. In 2018, Walmart and Sainsbury’s announced the proposed combination of Sainsbury’s and Asda to create one of the UK’s leading grocery, general merchandise and clothing retail groups. To learn more about the proposed combination, go here. Supercentres bring together the best of Walmart and all of the things Asda is known for – the widest range, best value and friendliest service in the business. It acts as a local shop but also attracts customers from further afield. 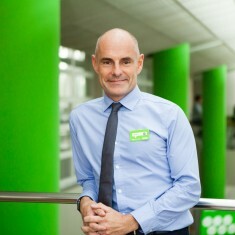 On average, Asda Supercentres sales areas are approximately 85,000 sq. ft. and sell nearly 40,000 products. 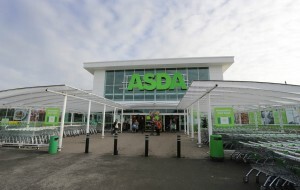 Asda Superstores offer a wide range of food and general merchandise products. 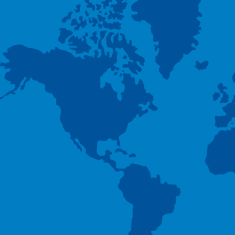 Average sales area in a superstore is 46,500 sq. ft., with nearly 35,000 products in store. 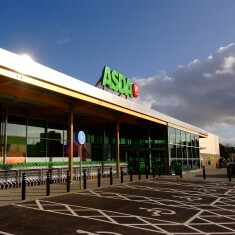 Asda supermarket stores are perfect for the needs of shoppers living in smaller towns and suburban areas. This format has proven particularly successful in recent years and has enabled us to bring much needed choice to towns that previously missed out on our products, services and low prices. Supermarket stores have an average sales area of 17,000 sq. ft. and stock nearly 24,000 products. Dedicated to stylish clothing and general merchandise products at affordable prices, customers can buy from our entire non-food range. Asda Living stores have approximately 28,000 sq. ft. of sales area and carry nearly 23,000 products. 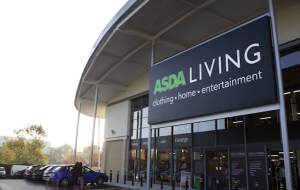 Asda is committed to being keenly engaged in serving the needs of their local communities. Through their Pulse of the Nation panel and Tell Asda feedback platform they are able to identify what is important to their customers and respond accordingly. Recognizing the immeasurable value of the customer’s voice has allowed them to launch programs such as the Asda Price Guarantee, support charitable efforts like Tickled Pink, Tommy’s and Orchid all while maintaining a focus on reducing their environmental impact and sourcing locally.